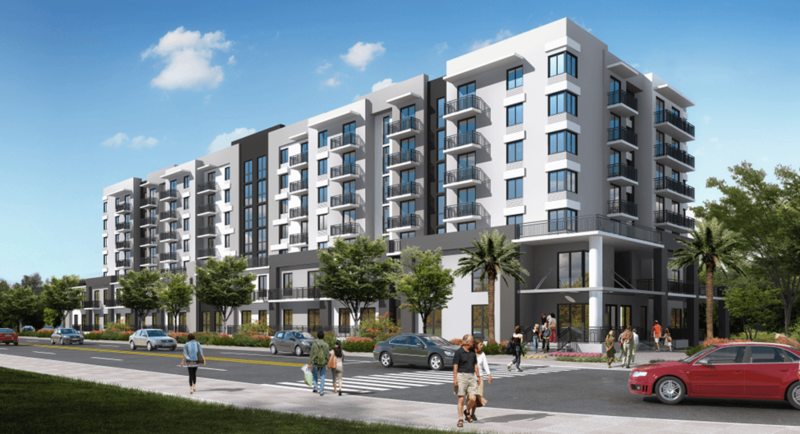 BridgeInvest recently closed a $24.25 MM construction loan for a 133-unit, luxury apartment building located in Fontainebleau, a submarket of Doral, Florida. The completed project, to-be known as FontaineParc Apartments, will be 7-stories featuring units with high-end finishes along with desirable amenities such as a resort style pool, outdoor lounge, private garden and a fitness center. The apartments will be in close proximity to FIU, Mall of the Americas and Miami International Airport while offering easy access to the Dolphin Expressway. The BridgeInvest loan allowed the borrower to immediately commence with the construction of the fully entitled and permitted project. BridgeInvest structured the loan to allow the borrower to draw funds commensurate with the construction schedule without incurring additional costs on undrawn capital. The loan will finance the construction of a medium density apartment building in a lower density area of Miami at a time when construction financing is hard to find. BridgeInvest was able to underwrite the transaction and provide the necessary leverage even though the project marks the sponsors first development project.